He just wanted his exosuit back. She was out to save her brother. What they got were bloodthirsty aliens. ​And maybe the end of the world. In a world devastated by alien invasion, Jarek and Rachel were never paragons of heroism. They survived, same as anyone else. They protected what was dear—Jarek with his exosuit and beloved AI companion, Rachel with her brother. They kept things simple... until the raknoth came and took it all away. What do a smart-mouthed sword-slinger and a surly arcanist have in common? ​Neither of them signed up for this crap. 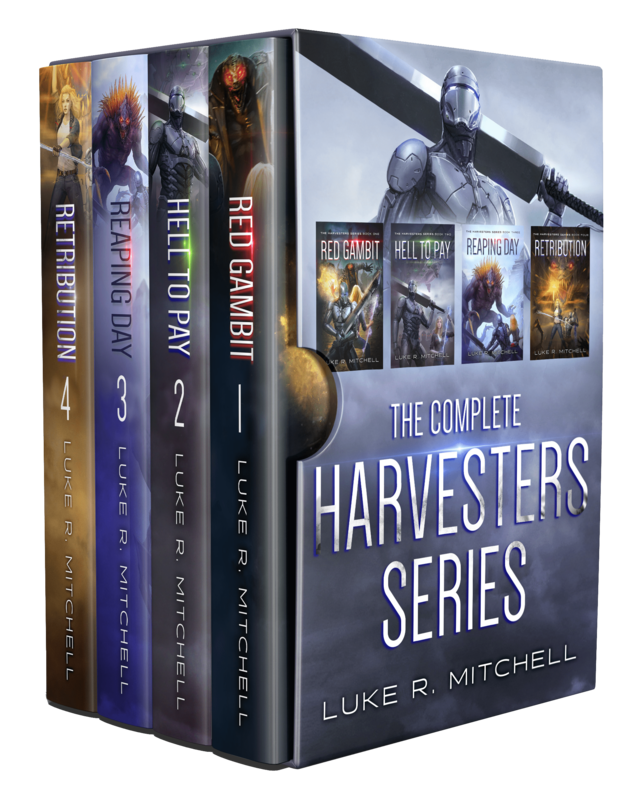 "In this series, Luke delivers an amazing amount of action while not neglecting character building. Not only do you get to know the characters, but their interaction is well done (the wit and banter keeps me smiling). If you have not picked up the series individually, now's a great time to get the entire thing in one shot. Once you read the first one, you are not going to want to put it down, so you might as well seize the carp and pick up the box set." Two words says it all, FANTASTIC SERIES! "Mitchell delivers one of the most thought provoking series in science fiction genre today. The story starts after aliens have reeked their havoc over our planet. Humanity is in a desperate survival mode and suddenly hope appears in the darkness. Our hero (the Soldier of Charity) assembled and leads a rag-tag following of resistance fighters that takes the fight to the aliens. The characters are extremely well developed with many plot twists and turns throughout the series. While the action is non-stop, it is also exhausting because this gifted author makes each scene come to life in your mind's eye and you feel like you are right there in the mix! I proudly award this 6 book set, 5 STARS!" 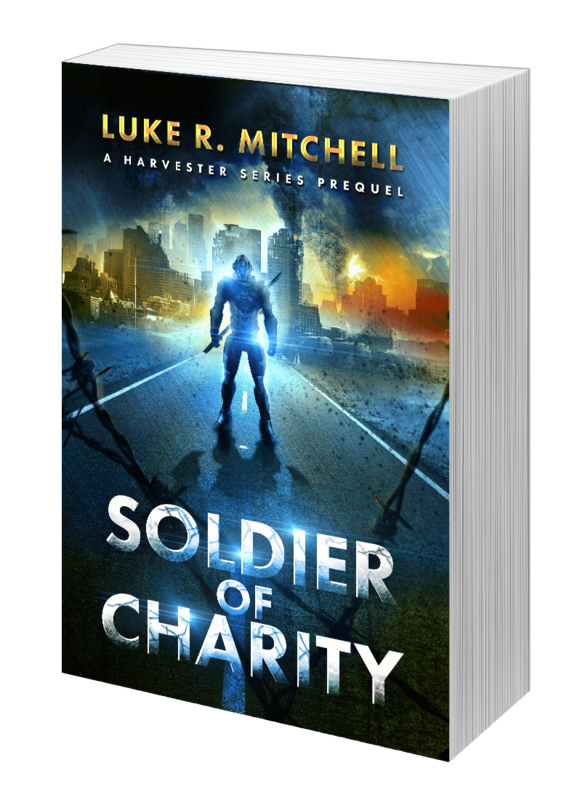 "I was hooked on this series from the first chapter of Soldier of Charity. Technically it's a prequel, to the series, but Jarek is such a great, fun, flawed, hero by accident that I just couldn't wait to read Red Gambit. I appreciate that the author keeps the storyline moving with each book bringing something unique. This series combines so many elements I love — it's dystopian, sci-fi, action adventure with engaging characters, well written drama, and just a smidge of a love story." "There is nothing to dislike in this set other than wanting the stories to never end. ​This is a collection of the first 4 books plus 2 short prequels, so it is great value for money as well as being fun to read. Keeps you wanting to turn one more page until your dinner is burnt. Great reading." I'm Luke, and I LOVE to make things up and write them down. Usually, I do so for a few shiny pennies from the kind Amazon overlords. In short, everybody wins! Well, except the middle man. But I don't think Amazon is going to be hurting too bad for my pennies. Plus, you know what they say about eggs and baskets. So, yes... 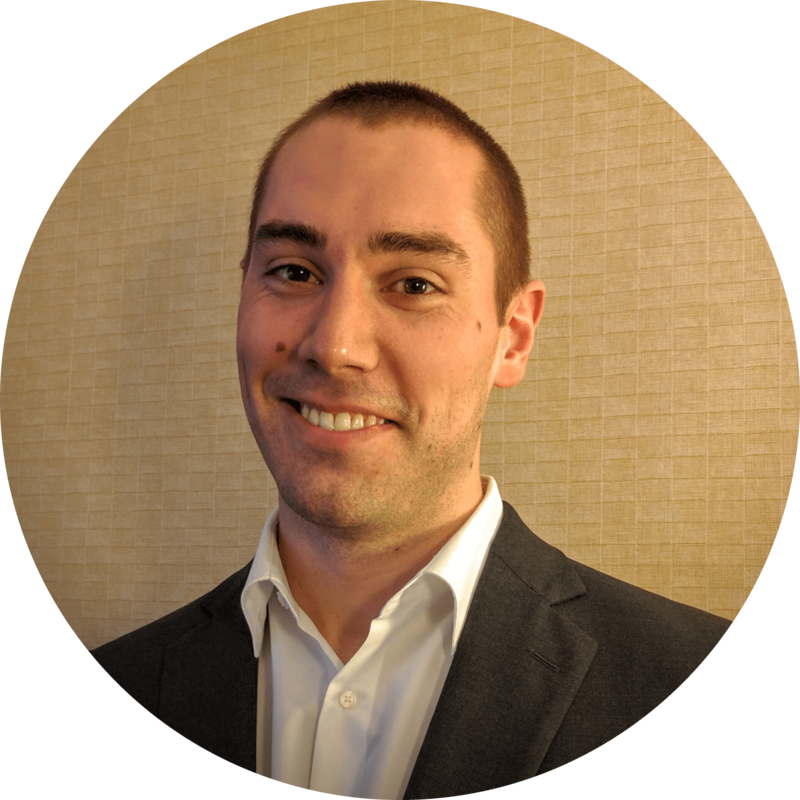 Welcome to my Great Diversification Experiment! I sure hope you enjoy the experience.